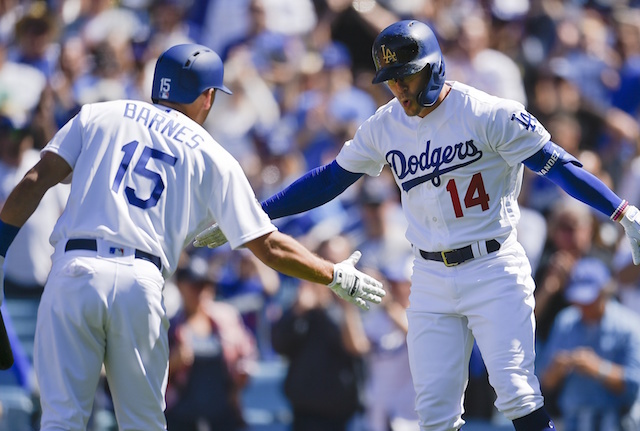 Opening Day at Dodger Stadium was a memorable one for the Los Angeles Dodgers as they hit a Major League record eight home runs en route to a 12-5 victory over the division-rival Arizona Diamondbacks. Batting out of the leadoff spot, Joc Pederson got the party started in the bottom of the first with a double and he later scored on Max Muncy’s RBI groundout. Pederson then came up in his second at-bat and launched a towering two-run home run off his former teammate Zack Greinke. He wasn’t done there though, adding another two-run homer in the sixth inning. 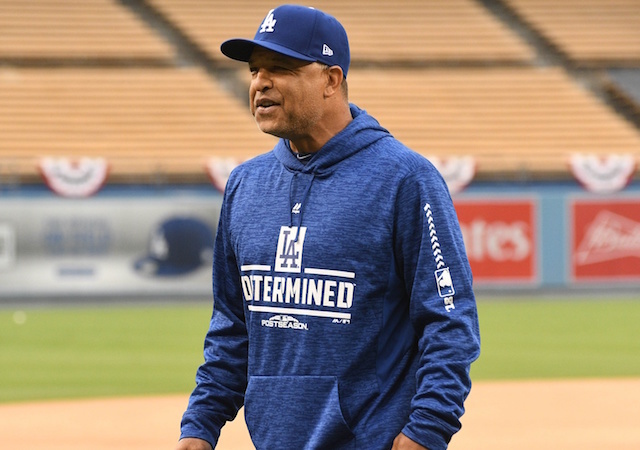 Named the everyday second baseman, Kiké Hernandez certainly validated Dodgers manager Dave Roberts’ decision by going 2-for-3 with a walk. Both of his Hernandez’s hits left the yard, as he clubbed a two-run shot in the fourth inning and a solo shot in the seventh. Pederson and Hernandez only accounted for half of the Dodgers’ home runs on the day, with Austin Barnes, Corey Seager, Max Muncy and Cody Bellinger all going deep as well. For Seager, this was his first regular-season game in almost a year after missing almost the entire 2018 season due to Tommy John and hip surgeries. Seeing him healthy and producing at the level he was at before his injuries has to be a welcoming sight for the entire organization. Not to be outdone by the offense, Hyun-Jin Ryu had a strong day on the mound for Los Angeles. He filled in admirably for Clayton Kershaw, tossing six innings of one-run ball while striking out eight to help the Dodgers get their first win of the season.